What are the two obvious facts about online forms? Firstly, they are undeniably essential for your website. And secondly, all the Premium form builders are way too costly to avail. That’s where WP Fluent Form Pro Add-on comes to your rescue. This plugin is a Premium extension of WP Fluent Form WordPress Form Builder plugin that comes with all the advanced input fields and state-of-the-art functionalities one might need to create a beautiful and efficient contact form and skyrocket his online business. And this premium WordPress form builder plugin is not just effective but ensures a better Return-on-Investment (RoI) than any of the other WordPress form builder plugins or SaaS you’ll find on the market. WP Fluent Form ensures a free-flow form building experience that enables anyone to create and manage a form in their WordPress powered website. Need to take in Files from your users? Deploy File Upload Input Fields in your forms. With this input field, you will be able to limit the size and amount of uploaded files and allow or restrict files of specific formats (audio, video, image, documents, zip, or CSV). This feature might be of great use for taking in résumes in online Job Application Forms. If you are looking forward to taking in image files from your users, this input field is the perfect solution for you. 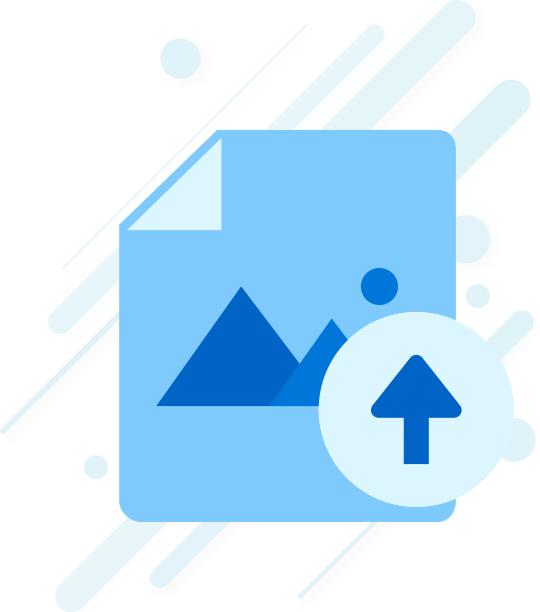 WP Fluent Form’s Image input field allows you to limit image size and the maximum number of images allowed to be uploaded. You’ll also be able to allow images of specific formats (jpg, png, gif). Sometimes, you might not be sure of how many fields a user would require to put in a specific information. Suppose, you asked users to put in their family members’ information in an orderly manner, but you never know how many member one’s family might have. For such instances, Repeating Fields are a lifesaver. 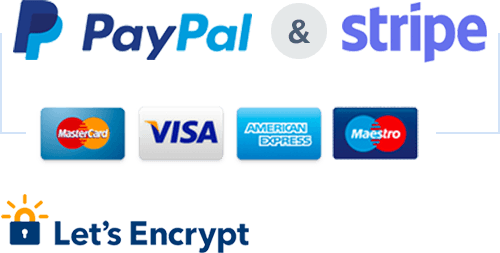 It enables users to add fields if necessary. Shortcodes are a blessing for all of us dealing with WordPress. These nifty little codes enable us to summon humongous contents wherever needed, let that be a table, a form, a banner or whatever it might be. With WP Fluent Form’s Shortcode field, you will be able to insert a table, banner or even a carousel in your form, if necessary. Don’t scare away users with humongous forms that require a gazillion input fields to be filled up. Usually, no one would fill up your long forms if you don’t smarten up and handle these situations smartly. With the Step Form feature, you can easily sort your input fields in separate “pages” that your users fill up one by one without any fatigue. WP Fluent Form Pro Add-on boasts of a handful of complex functionalities that will make your form management (as well as your life) a lot easier than before. This Premium functionalities range from Conditional Email Confirmations to all the third-party CRM integrations that you will need to automate your contact form management and user communication. Personalization is a must if you are looking forward to let your users know that you DO care! And to take that customization to a pinnacle, Conditional Email Notifications can take you a long way. With this feature, you will be able to send your users customized emails triggered by the users’ specific actions performed on the forms. Conditional CRM Integrations are another handy feature that comes with WP Fluent Form Pro Add-on. This feature gives you the full control of which users you would like to add to your CRM list, and which ones to exclude, in an automated way! Just set the rules that will define if an entry is to be listed to a CRM, and the form will automate the whole process! Email marketing, marketing automation, Sales+CRM, messaging- whatever you need to fluently run your email marketing campaigns and to keep in touch with your customers and subscribers, ActiveCampaign has got you covered. And why not automatically add your form entries to your ActiveCampaign list? With our Pro Add-on, it’s a child’s play! Not only is iContact one of the most experienced veteran on the field, but it is also one of the most cost-efficient deals you can get your hands on. The pricing plan iContact offers undoubtedly ensures the best RoI, just like WP Fluent Form! And now you can easily integrate WP Fluent Form to iContact with the Pro Add-on. “Thank God for Zapier!” – that’s all we can say about Zapier. No one makes third-party integrations easier and more efficient than Zapier. Need to integrate your forms with Google Sheets, Google Drive, Slack, Trello, Asana, Hubspot, Todoist or Stripe? Just Zap’em and enjoy the automation. And now you can integrate WP Fluent Form to Zapier in just a few minutes! You can easily create a form within minutes and come with nearly all of the features I’m looking for in form builder. I have features request for you, please add the ability to export to PDF along with the signature, and upload to cloud storage such as DropBox, Google Drive, etc… Less clutter than digging thru Email Inbox. Thank you for making awesome plugins. Me ha gustado mucho el plugin, solo lo mejoraría si pudiera recibir los emails directamente en mi cuenta de correo. It also has one of the best support i met: fast and efficacious. Keep it up the good work guys! What are the two obvious facts about online forms? Firstly, they are undeniably essential for your website. And secondly, all the Premium form builders are way too costly to avail. That’s where WP Fluent Form Pro Add-on comes to your rescue. This plugin is a Premium extension of WP Fluent Form WordPress Form Builder plugin that comes with all the advanced input fields and state-of-the-art functionalities one might need to create a beautiful and efficient contact form and skyrocket his online business. And this premium WordPress form builder plugin is not just effective but ensures a better Return-on-Investment (RoI) than any of the other WordPress form builder plugins or SaaS you’ll find on the market. Other than these Premium ones, all the usual Input Fields usually available for WP Fluent Form will also be available. Online Forms can not be limited to simple contact forms that just collects a visitor’s Name and Email Address. Rather, modern online forms serve a multitude of purposes ranging from Support Forms, Event Registration Forms, Job Application Forms, Survey Forms etc. To say the least, implications of online forms are practically limitless! A long form is the user’s nightmare, the catalyst for losing the valuable leads. Readability, composite sections, and natural flow — combine all these and you get the Multi-Step Forms feature. It allows you to add a progress bar and a customized breadcrumb on top of the form letting your users know their advancement on the form. The form generation is just a cinch, you can easily drag and drop the fields from one section to another. Break lengthy forms into composite sections using a drag-n-drop interface. A customized title for each section. A breadcrumb trail on top of the form, enabling easy access to each section. Fluently move fields between sections. Need reports, photos or documents to be uploaded by your users? Add file and image upload fields to your form and get those in your email notifications. More often than not you have to collect data in document form be that it may images, videos, PDFs, Word or Excell files. And it doesn’t have to be a pain. Set the file types you want to allow. View the uploaded files similar to any other data. Get the uploaded files in an email. Enforce various restrictions e.g. maximum upload size. Limit the number of files to be uploaded. Upon form submission, you can trigger various notifications. Sometimes, you may want to send a specific email based on the user’s interaction with the form. Conditionally enable and disable certain notifications on some events. You can easily do that with this add-on. Shortcodes: Render any content into the form using any available shortcodes. Repeat Fields: Want to collect an unlimited number of entries of an input? No problem, you can use the repeat fields. Actions Hooks: If you are a developer and want to add some action hooks into the form you can do it easily.